It seems that my inexperienced blog writing skills have really been high lighted this past week! Whilst I seem to have facebook page running skills with P plates but am no where near an open license on Blogger just yet! So my apologies if you were looking for the mystery of the ping pong balls. 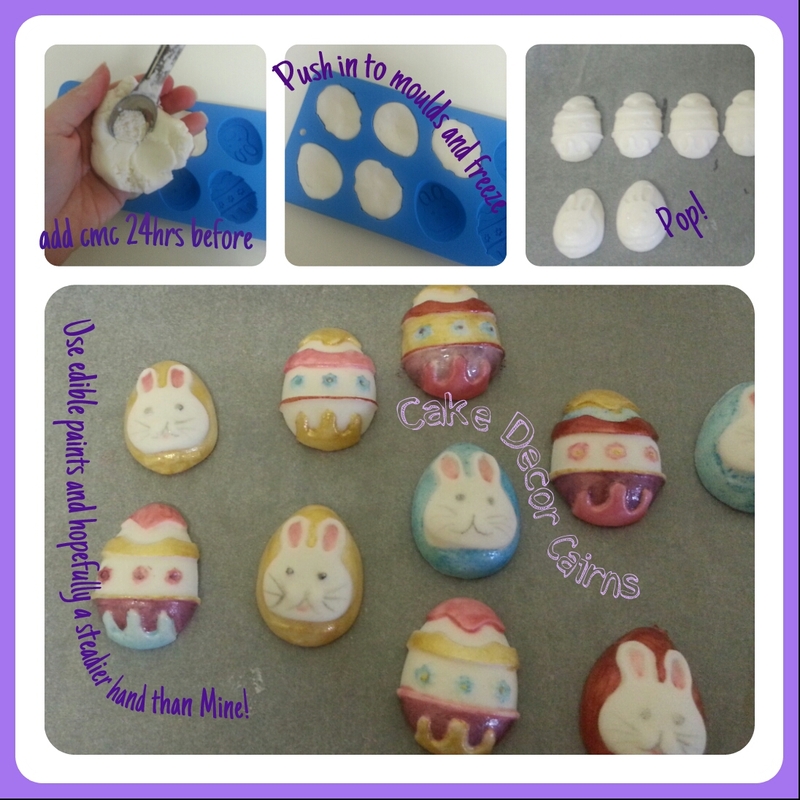 I have embarked on a project where you make your own moulds. My current project is edible teacups using fondant and painted up pretty with luster dusts. So far I have only managed time yo create one wobbly cup which for those of you following me on facebook have probably already seen. So until I have time to get it right (school holidays always consumes any me time) here is my practice one. And if you like, then come back when Australian schools are well into the 2nd week of term 2! 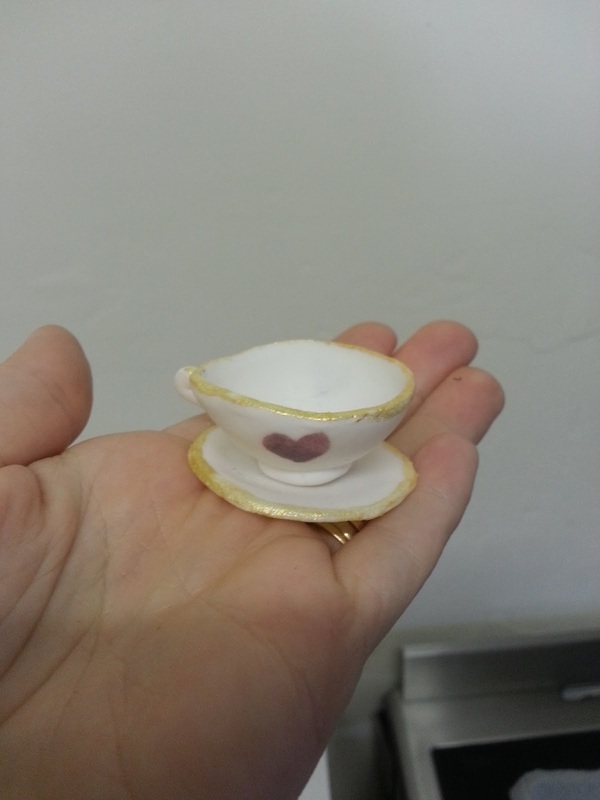 My wobbly edible fondant teacup. 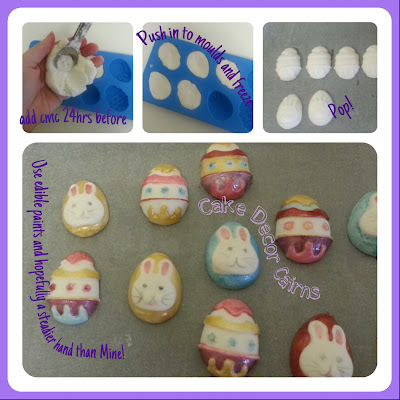 Easter cake toppers using silicone molds, cmc tylose treated fondant and edible paint. The edible paint was made using lusture dusts and a little decorators alcohol. (you can use Vodka but it takes ages to dry) I tried a couple of different brands hoping to support Australian companies but they just did not mix as well as Sugarflair Lustre Dusts. They have definitely become my favourite and worth the extra expense.